Long 3.5". One size fits all. 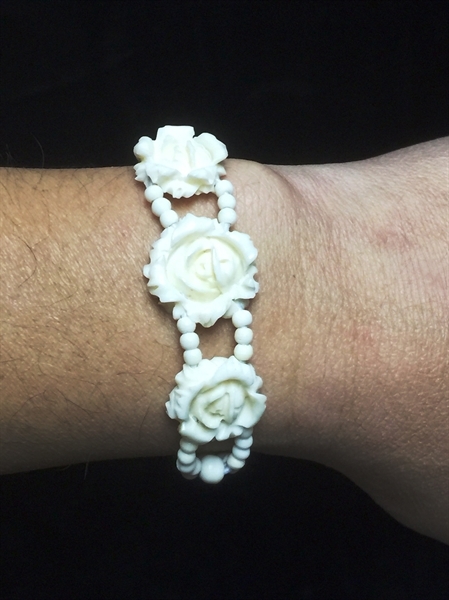 This bracelet is made of bone. 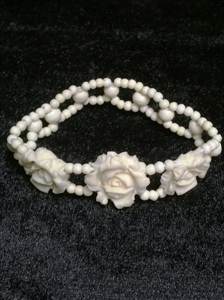 All hand carved from natural bone. Three flowers are in the front. One size fits all.